Danish writer/director Kristian Levring is familiar with all the iconography of the western but none of the nuance, as he displays in this cackhandedly abysmal collection of hollow clichés and atrocious dialogue. 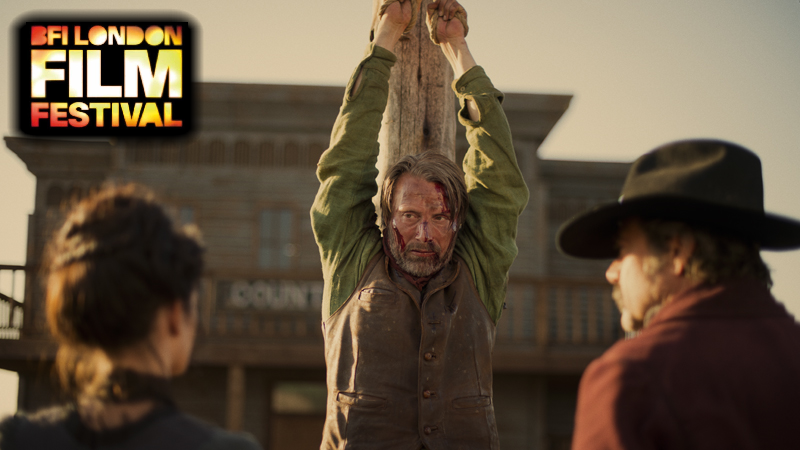 Mads Mikkelsen plays a Dane in 1871 America who's out for revenge on those who murdered his family, and that's it. Potential plot threads go nowhere, the ropey CGI threatens to fall apart at any moment and actors of considerable stature are wasted. Having Eva Green play a mute isn't daring or subversive, it's just dumb. The Salvation is bafflingly anti-American and staggeringly misogynistic: of four female characters I recall being in the film (three of them for a matter of minutes), one is a torture victim who is gang-raped, one is murdered, and one is raped then murdered. The fourth is merely a bit dim. I don't know what Americans and women have done to Levring in the past but he's so pissed off about it he's taken it out on them, and everyone else in the audience, with this offensive, thrill-free, plastic facsimile of an actual western. Oh and Eric Cantona is in it for some reason. Not at all good, just bad and ugly. In an interview about this movie Mads Mikkelsen said: The history of the cowboy is a European/Scandinavian story. It is not an American story at all as all people in American came from somewhere else. Yet the 'American cowboy' story happened on American soil. I've never read of any European or Scandinavian cowboys rustling cattle. Perhaps Mr. Mikkelsen would like to visit the American southwestern states and enlighten the Native American and western residents of the true history of the cowboys. You know what's worse than an arrogant American?